The tomb of Tutankhamun, with its breathtaking treasures, remains the most sensational archaeological find of all time. 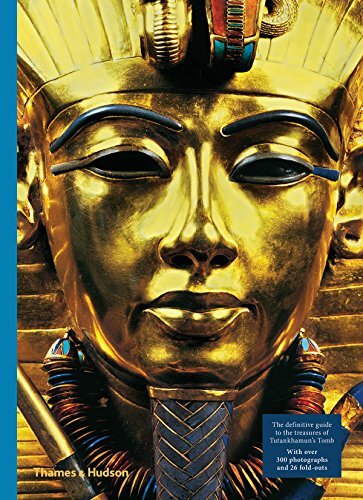 This brilliantly illustrated volume takes the reader through Tutankhamun’s tomb room-by-room in the order that it was discovered and excavated by Howard Carter, illuminating the tomb’s most magnificent artifacts and objects. Leading authority Dr. Zahi Hawass imbues the text with his own inimitable flavor, imagining how the uncovering and opening of the tomb must have felt for Carter, while Sandro Vannini’s extraordinary photographs reproduce the objects in infinitesimal detail. Now available in a compact edition, and published to coincide with a global touring exhibition that begins in Los Angeles in March 2018 and ends at the Metropolitan Museum of Art in New York in 2023, this sumptuous volume is the definitive record of Tutankhamun’s legacy.